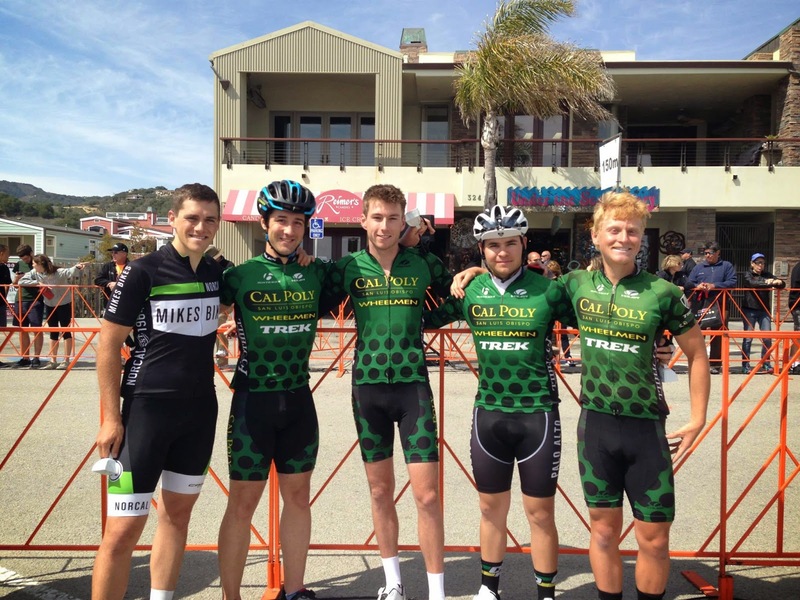 In an attempt to become well acquainted with the 2014-15 Cal Poly San Luis Obispo Wheelmen community, Brooks Kelly marks the 12th rider spotlight. The following information was provided as a set list of questions that Kelly entertainingly answered. With responses ranging from the importance of ride partners to kettle corn, and an interest in eventually writing iOS applications, you do not want to skip this read. All responses are unedited. Brooks Kelly (center). Photo credit: Brooks Kelly's Facebook profile. I joined the wheelmen during winter quarter. 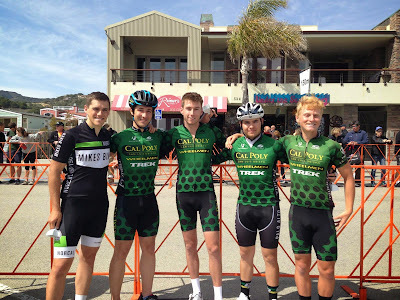 I had been riding bikes for two years but decided competing in races was what I wanted to do. What does it mean to be a member of the Wheelmen community? Being a part of the wheelmen community means always having someone to ride with. Before I joined, I was always doing solo rides which gets boring after a while. I’ve met tons of great people who are always willing to explore new routes. I am only involved in road right now, but plan on starting to mountain bike over this summer and competing during the season in the fall. My favorite route so far is Old Santa Rita off of Old Creek Rd. Lots of dirt roads with very low car traffic and extremely scenic views. Credit goes to Chris Ha for showing me that one. I’m currently in my junior year, studying mechanical engineering. Spotify or iTunes? Let us know your favorite tracks. I’ve been using Spotify for the last two or three years. The student discount is a great deal. I’ve been listening to Always- Classix Remix quite a bit recently. Sweet. I will destroy a bag of kettle corn if I get my hands on it. I learned Spanish before I learned English. I had a nanny when I was 5 months old who taught me Spanish. I’m still fluent and acted as my family’s translator when we travelled to Mexico when I was 10 years old. I try to hike the surrounding peaks as much as I can. I’m also trying to teach myself some coding to eventually write iOS apps.